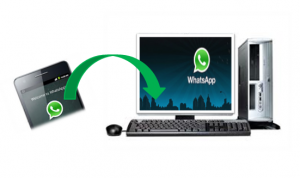 Install WhatsApp Messenger For PC or Laptop Free Download no crack needed. Whatsapp was founded in the year 2009 by Brain Acton and Jan Koum with the idea of exchanging text messages, voice, video and images for free.. no cost attached . millions of messages are sent through whatsapp per day. The WhatsApp application is available for Android, BlackBerry OS, iPhone, Windows Phone and Nokia. and now you can use it on your PC in the house or even your laptop. Installing WhatsApp for smartphone is very easy. You might be thinking of how possible can you install this smartphone application on your laptop computer... This post would show you how possible ... It suport variety of operating system like Windows XP, Windows Vista, Windows 7, Windows 8 or MAC OS.